After years of working in the software industry, Roopika joined SmithDehn India in 2010, having undergone a rigorous selection process. After comprehensive legal training and significant experience, she recently was promoted to Senior Legal Associate at SmithDehn India and was placed in charge of its AccuMark division. She now oversees and trains the team that conducts high-quality title and trademark searches and prepares the much-in-demand, AccuMark title and trademark search reports for well-known television, film and other companies in the US, the UK, India, and elsewhere. Apart from this, Roopika regularly handles legal research and the drafting of legal opinions for US lawyers at SmithDehn LLP to review before sending on to clients. She frequently divides her schedule among teams involved in litigation -- working on research and the drafting and reviewing of motions and briefs; intellectual property matters -- filing and tracking of copyright and trademark applications and petitions; and preparing deposition summaries, transcription work, and assisting with film and television episode review. In her years with us, Roopika has undergone extensive training in US state and federal civil litigation procedures, US court systems, the Blue Book system of legal citation, drafting of legal memoranda, legal research and analysis, Westlaw research, international trademark and copyright searches, intellectual property registration and filing, contract drafting relating to film and television production and rights exploitation, and contract review for various industries, among other things. 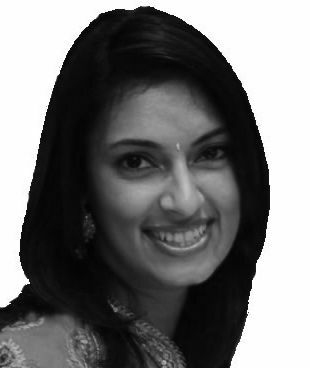 Although Roopika is not admitted to the bar and does not provide legal advice, she provides high-value support work that helps reduce the legal costs of our clients. Outside of her legal career, Roopika is an award-winning vocalist and has performed for public audiences around the world. She also loves to play the piano and writes music and poetry.